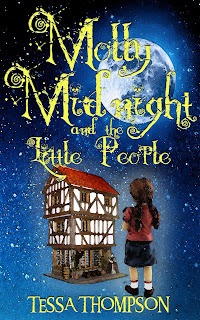 I am happy to announce the release of my first Children's Chapter book - Molly Midnight and the Little People. Published under the pen name Tessa Thompson and available now on Amazon. Molly Midnight is descended from a long line of witches, but their magic is long forgotten. Until the day Molly inherits her Grandfathers doll’s house. The Midnight family doll’s House holds a secret. Inside, live all of her long-lost ancestors. Now, the lives of these tiny people are under threat - a Witch Hunter has arrived in the village. Can Molly learn how to use magic in time to save her family and the house full of little people? "An enchanting new series, children everywhere will be certain to fall under Molly Midnight's spell!" The Last Girl Guide - Coming this winter! Coming this winter; The Last Girl Guide - an exciting new Dystopian Young Adult Novel - Check back here later for full release details or sign up for updates. Everyone is dead. Everyone except Harper, but if you had to choose someone to survive Armageddon alone, you would pick someone like Harper. The girl has all the qualities you would need. An autistic loner, who, despite suffering years of abuse remains remarkably undamaged; a true survivor - but can anyone survive in a world where they are completely alone - even Harper? Then there are the dogs, who hunt in packs, nothing living is safe. Harper records her struggle for survival in a diary. This is her story. "An electrifying and often touching insight into one girl's struggle to survive in a hostile dystopian world." Be amongst the first people to read the first two chapters of the draft here! 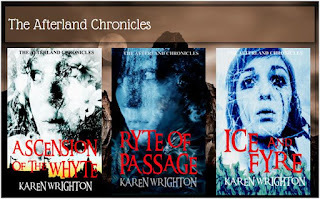 Apple (operates iBooks stores in 51 countries), Barnes & Noble (US and UK), Scribd, Oyster, Kobo, Yuzu, Blio, and Inktera (formerly Page Foundry). OverDrive (world's largest library ebook platform serving 20,000+ libraries), Baker & Taylor Axis 360, Gardners (Askews & Holts and Browns Books for Students), and Odilo (2,100 public libraries in North America, South America, and Europe).